Rotkäppchen. Little Red Cap, from the story by the brothers Grimm. Little Red Riding Hood to us. 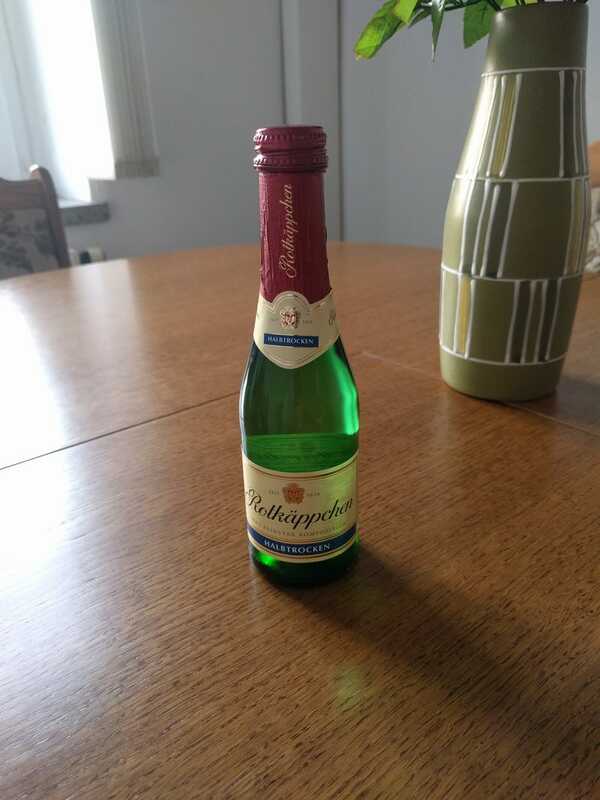 It’s a sparkling wine and one of few East German products to survive.